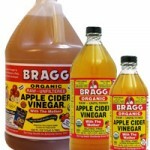 Ask the RD: Apple Cider Vinegar for Acid Reflux? 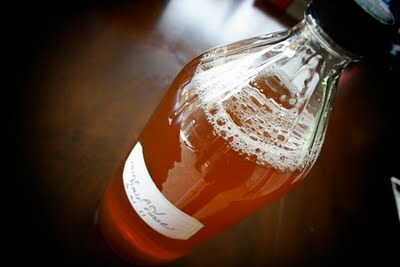 I have now heard from several people that a good way to balance digestive and acid reflux problems is by taking RAW UNFILTERED apple cider vinegar. Problem cases should take 1 tbsp in 5oz water in morning, noon and night. It is also supposed to help with weight loss. I’m thinking about incorporating it into my regular routine, what do you think about that? This is a ‘folk claim’ that has gone back decades if not centuries and I think that it is fine if you want to incorporate it into your regular routine, but since you asked, here are my thoughts on the observed benefits of drinking vinegar (I have not done any first hand research on this topic, these are just my initial thoughts). are pretty good at regulating the amount of acid and base in the body and adjusts according to environmnental conditions. I suppose it may help with some digestion. The ability to make HCl becomes less efficient as you age, so eating acidic foods with high-protein or foods high in iron could help you absorb the nutrients, and that could improve your health and even help you lose weight, I suppose. Iron is crucial for carrying oxygen around the body and helping extract the energy from foods. Effect on heartburn. I don’t see how this would help Acid reflux/GERD however. When someone has acid reflux, the problem stems from malfunction of the sphincter at the end of the espophagas that enters the stomach. Usually it becomes too lose for some reason and acid in the stomach is able to escape up the esophagus, causing heartburn. This can be caused by things that loosen the sphincter – commonly coffee, alcohol, chocolate, mint, eating too much, and/or laying down or bending over after eating. I think drinking vinegar would not affect the function of the sphincter either way. I have read that food intolerances like gluten and casein (the protein in milk) and sometimes even soy can contribute to acid reflux. It is possible that the vinegar could help break down these proteins and mitigate their effects on heartburn, but I would have to do some more reserach on that. Weight loss. I suspect that drinking vinegar in the morning with water could promote weight loss, but not because of anything magic in the vinegar however. Remember, a weight (fat) loss depends on energy balance- consuming less energy that we use causes the weight loss. Ultimately, a Calorie is a Calorie is a Calorie. People do have control over how much energy they take in and how much they use/ burn. The weightloss from drinking vinegar would depend on if it was added to a persons diet or if it was substituted for other foods and drinks. Vinegar is a relatively low Calorie food. Think about the displacement of food that would occur in a person who usually ate breakfast, lunch and dinner and a few snacks and then switched to drinking 16.5 oz of vinegar-water mixture daily (you said “1 tbsp/5oz water in morning, noon and night”) in addition to their normal diet. This vinegar-water mixture would maybe help their stomach digest some protein and minerals, and would add some fluids, about 10 Calories and maybe a trace amount of minerals to their diet. If the vinegar-water mixture was not added but substituted in the persons diet because it made them very full from drinking a lot of fluid (and maybe even decreased their appetite because it is not very palatable), it would displace some of the food that they normally eat and cause them to take in less Calories overall, which could ultimately end up in a negative energy balance and weight loss. It would still depend on the rest of the persons diet and their energy use. There are a lot of factors I have not considered here but overall I don’t think it will harm you, but not certain how much it will help. Let me know if you have any other questions about this.